Get online banking from your mobile phone. Download the app to manage your accounts while on the go. Imagine the features of online banking from your purse or back pocket. Mobile banking lets you check accounts from the convenience of your mobile phone or tablet device. That's not all. Log in to review account balances, transfer funds between accounts, make loan payments, and much more! All from the convenience of an app downloaded to your smartphone! The Farmers Bank mobile solution is phone neutral. It works with any web-enabled mobile phone device whose network allows secure SSL traffic. You can view transaction history, view account balances, transfer funds between accounts, pay bills and view alerts. How do I know if my transfer or bill payment was entered successfully? 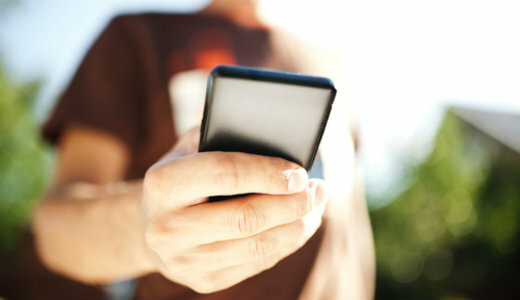 Each time you make a transfer or bill payment, a confirmation text message will be sent to your mobile device. If you do not receive a confirmation text message, double check to make sure the transaction went through. Log in to our online banking website. Select Options and then Mobile Settings. Deselect the Activate Mobile Banking Access. Click on the Submit button. Why can't I add a new payee? Functionality is limited to sending payments to already established payees. To add a new payee, log in to the online banking site, select Bill Payment, and add a new payee. You can then submit payments to that payee via your mobile device. When you complete a transaction from your mobile device (bill payment, funds transfer, etc.) you will receive a text message as confirmation that the transaction was successful. If you do not receive this message due to a dropped call or lost signal, check your accounts and re-submit any transactions that did not process. If you get a new phone but are using the same phone number and provider, no changes on your part are necessary. If you switch providers and/or phone numbers, log in to your NetTeller account via the Internet and update your information on the Options > Mobile Settings page. You will not receive text messages regarding mobile banking transactions if your phone number is not correct. How can I search for a transaction? You will only be able to view 15 days worth of transaction history on your mobile device. There is not a search feature. Yes. You can access your accounts via any mobile device that is web-enabled and allows secure SSL traffic. The only difference is that text messages will be sent to the device entered when enrolling for mobile banking, not any device from which you perform a transaction. Can I add a new Bill Payment Payee via mobile banking? No. You can only add payments to payees already established through your traditional Internet-based NetTeller ID. You must log in to the Internet-based NetTeller ID and delete the payment from the main menu of the Bill Pay module. When I try to enter an amount for a bill payment or transfer, I can't enter any numbers, only letters. Why? Check your phone's settings to make sure you don't have Alpha-only enabled on the keypad.